Unlock Alcatel OT-I898 in few steps: 1. Switch On Alcatel OT-I898 with other operator simcard. 2. A message to enter an "unlock code / sim network unlock pin" should appear. 3. Input the unlock code provided by routerunlock.com. 4. The Alcatel OT-I898is now unlocked forever. Home Unlock Alcatel How to Unlock Alcatel OT-I898? 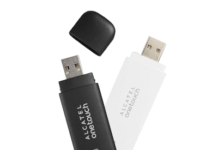 How to Unlock Alcatel OT-I898? Unlocking of Alcatel OT-I898 is now possible by code. You can easily unlock the phone with a correct unlock code. Once the device is unlocked, you can use default as well as other SIM cards. Unlocking by code does not interfere with the hardware or software of your phone, means you will not loose the warranty. To generate the unlock code of Alcatel OT-I898, we need 15-digit IMEI. IMEI can be found by dialing the *#06# or through phone settings. To generate the unlock code of Alcatel OT-I898, we need PID or SecRO. Once you have a combination of IMEI+SecRO or IMEI+ProviderID, you can ready to place the order at routerunlock.com. It is independent of network and country, means you can place an order for any Alcatel OT-I898 of any country. Kamlesh Kumar on How to update the firmware of E5577 Huawei mobile WiFi router? Dave on How to update the firmware of E5577 Huawei mobile WiFi router? How to Enter Unlock Code in Alcatel OT-I898? 1. Switch off the Alcatel OT-I898. 1. 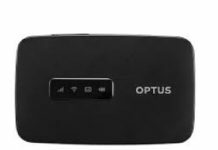 Switch ON the Alcatel OT-I898 without any SIM card. Now your Alcatel OT-I898 is permanently unlocked and can be used with any network provider SIM card. Previous articleHow to Unlock Alcatel OT-I888X? Next articleHow to Unlock Alcatel OT-J929L?